The quality of hunting in Northern Michigan is legendary, while Cadillac offers some particularly unique advantages. Extensive access to public land is a primary reason hunters find their way to Cadillac during hunting seasons throughout the year. Whitetail Deer hunters flock to the Cadillac area for bow hunting, rifle and muzzle loading seasons, and are rarely disappointed. Black Bear is also included in the big-game list on our 600,000 acres of prime hunting land in the National Forest and State Forest surrounding Cadillac. A small game license entitles you to hunt rabbit, snowshoe hare, squirrel (fox and gray), pheasant, ruffed grouse, woodcock, quail, woodchuck, crow, coyote and waterfowl during the open season in the Cadillac area and Wexford County. There is no closed season on opossum, porcupine, weasel, red squirrel, skunk, starling, feral pigeon, English sparrow, ground squirrel and woodchuck. Wexford County boasts one of the highest wild turkey populations in Northern Michigan and both fall and spring hunting opportunities exist on the permit basis. We have several guides for hunting in the area, as well as hunt clubs, contact our office for more information on Marion Hunt Club, Manton Hunt Club, Cadillac Sportsman's Club.  We are also VERY lucky to host one of the seven MDNR Visitors Centers in the State - Carl T. Johnson Hunting & Fishing Center, adjacent to Mitchell State Park and Cadillac's famous canal that connects Lakes Cadillac and Mitchell. The local MDNR office is located on Mackinaw Trail, between US-131 BR and M-115, just south of Downtown Cadillac. Call 231-775-9727. Carl T Johnson Hunting & Fishing Center is located on the west side of Cadillac, across the canal from the Mitchell State Park. We are proud to host one of the seven MDNR Visitors Centers in the State, and the only one that focuses its museum and activities on Hunting & Fishing in our Great State! Call 231-779-1321, located at the intersection of M-115 & North Boulevard, just north of the M-55 & M-115 intersection. The Huron-Manistee National Forest are the only National Forests in Lower Michigan. The Huron-Manistee National Forests comprise almost a million acres of public lands extending across the northern lower peninsula of Michigan, offering over 500,000 acres in the Cadillac area, the largest single span in the lower peninsula. It provide recreation opportunities for visitors, habitat for fish and wildlife, and resources for local industry. Throughout the year there are campsites and trail heads throughout the National Forest for use. Some may require a fee/ permit. Call (800) 821-6263, located at 1755 South Mitchell street, just south of Downtown on BR US-131. Learn more about this year's event on our event page. Hunting Works For Michigan advocates for public policy that supports jobs and economic prosperity. As a grassroots organization, we help tell the story of the role hunting and shooting sports play in both the heritage and economic health of Michigan. Support Hunting Works for Michigan by spreading the word, and asking your friends with businesses to sign up today with Hunting Works for Michigan. Hunting makes a major economic impact to our state, local economy and we need to ensure it continues.